I thought it was a pretty simple process when it came to working with them. They did a better job than I had hoped for, and they were professional. They were courteous, reliable, and responsive. I've told numerous friends to use them. They're great. It was no strings attached, a piece of cake, and they were awesome. I've actually recommended them to two of my neighbors. It's an excellent value for the price. They were very fair, and we had a good experience with them. I liked their quality and reliability. Diamond Greens installs a wide variety of synthetic turf products for residential clients in Contra Costa, Alameda, Solano and San Francisco Counties. The company exclusively works with products made by industry-leading manufacturers like TigerTurf, Advanced Grass and Smart Turf, and it uses a proprietary installation process that eliminates major sources of failure and increases the longevity of each customer’s turf. 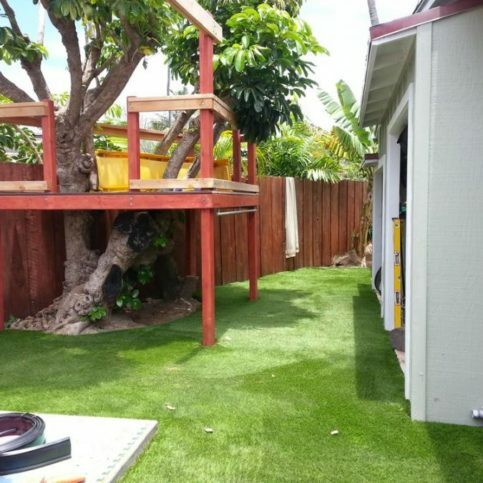 Diamond Greens recently installed this synthetic turf in a client's backyard. 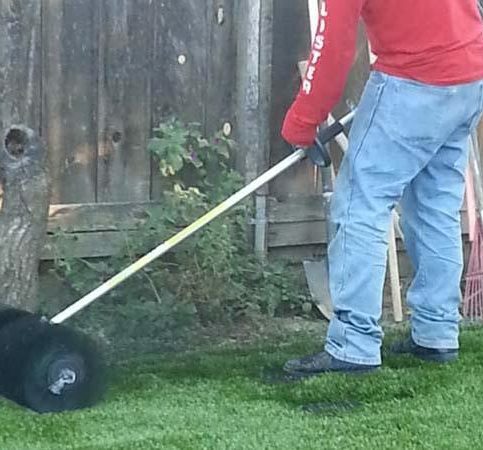 Diamond Greens has been installing synthetic turf products for residential clients in Contra Costa, Alameda, Solano and San Francisco Counties since 2006. The company exclusively installs products made by top manufacturers such as Smart Turf, Advanced Grass and TigerTurf, and it uses a proprietary installation process that’s designed to increase the longevity of each customer’s turf. Q: Can you help me chose a synthetic turf product that meets my needs? A: Certainly. 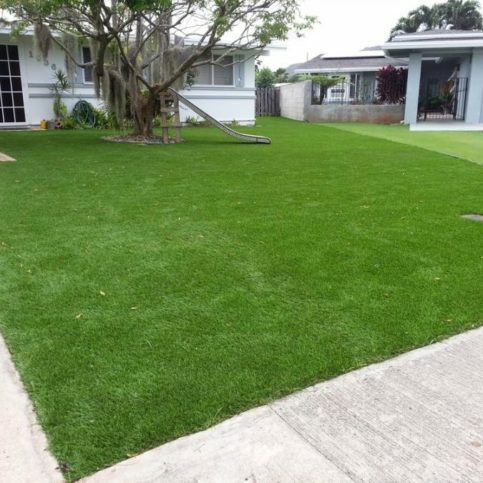 There are turf styles available for all different needs, so once we assess your situation, we’ll be able to match you with a product that provides exactly what you’re looking for. Q: Will my turf get hot during the summer? A: It depends on the type of turf. Some turfs tend to get fairly hot in high temperatures, but there are also numerous products that utilize cool-blade technology, which keeps the turf cool even when it’s hot outside. Q: How thick is the base that you install beneath the turf? 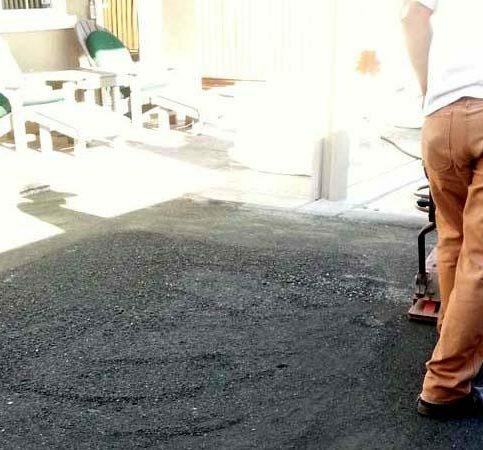 A: We install concrete pavers in addition to synthetic turf, and we use the same base compacting process for both, so our clients get the same high-quality base for their synthetic turf that they would for a paver installation. In other words, your turf will support quite a bit of weight—you can even drive your car on it without denting it or causing other damage. Q: Can pet urine damage my turf or create odors? A: No. All our turf products are chemical-resistant—you can spill gasoline on them and they won’t get damaged. As far as odors, that comes down to having a base that provides proper drainage. 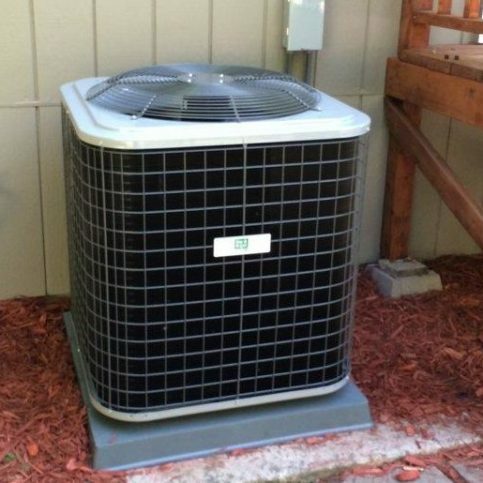 As long as the base is installed correctly, you won’t have any odor issues. Q: Can you help me incorporate synthetic turf into my natural landscape? A: Yes. These days, many people want their turf broken up by things like decorative rocks and plants around the perimeter, which creates a more striking and natural look. We’ll work closely with you to come up with a practical and aesthetically pleasing design. Diamond Greens uses ÛÏfull blade technologyÛ on play areas so the turf isnÛªt too stiff. Two Diamond Greens technicians install a cup for a clientÛªs putting green. 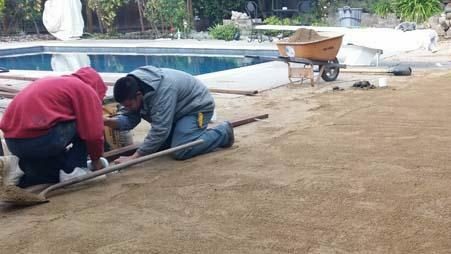 A Diamond Greens technician performs a final gravel compaction before installing a customerÛªs turf. A Diamond Greens technician puts the finishing touches on a clientÛªs turf installation. One of Diamond GreensÛª specialties is installing synthetic turfs around swimming pools. 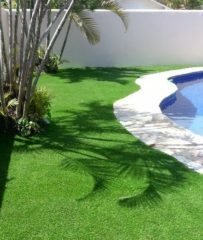 Diamond Greens installed this turf in a clientÛªs front yard. 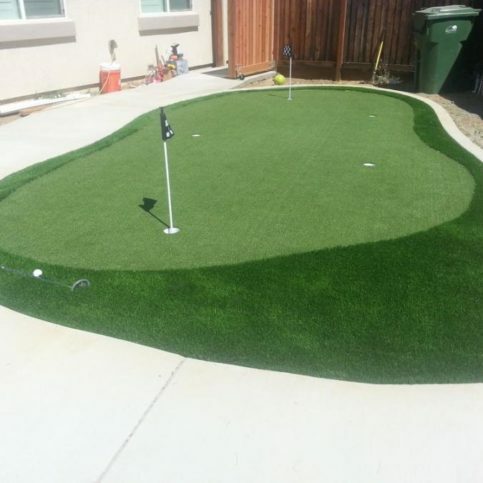 Diamond Greens installed this backyard putting green for a professional golfer. This play area features synthetic turf with padding underneath. 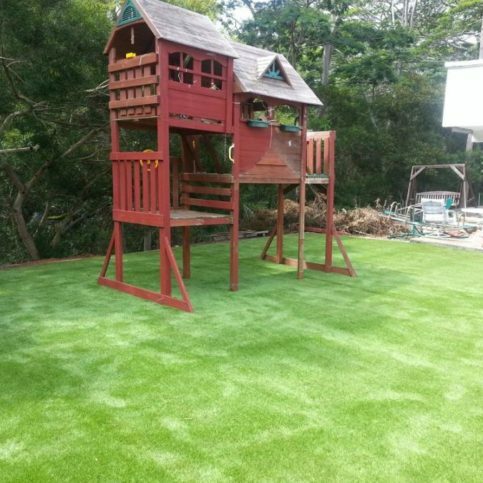 Diamond Greens recently installed this synthetic turf in a client’s backyard. Eric Beresford-Wood is a 11-year veteran of the synthetic turf industry and owner of Diamond Greens, a Diamond Certified company. He can be reached at (925) 265-8850 or by email. A resident of Lafayette (where he lives with his wife, Helene, and their three children), Eric considers the Bay Area an ideal place to live, especially considering his hobbies. “My two main hobbies outside of work are long-distance trail running and kite surfing, and the Bay Area is perfect for both,” he says. “We have some of the best wind in all of Northern California, as well as plenty of great running trails.” When he’s not running or surfing, Eric enjoys reading, watching movies and spending time with his family. A: I have several, including “Dune” by Frank Herbert, “The Mote in God’s Eye” by Larry Niven and Jerry Pournelle, and “Atlas Shrugged” by Ayn Rand. A: Craigslist. I’m always on the lookout for new equipment for my business. A: I collect antique coins, books and old chests. A: Summer, just because I’m more of a warm, sunny weather kind of person. LAFAYETTE — It’s commonly thought that all synthetic turf is the same, but in reality, there are a variety of designs for different applications. That’s why, when choosing a synthetic turf product, it’s important to consider how it’s going to be used. For synthetic turf installations in backyards and other high-traffic areas, it’s usually best to go with a sports blade. Unlike straight turf blades, sports blades are designed to have a certain curvature, whether a C-shape, W-shape or S-shape. This curvilinear design gives sports blades superior pliability, which enables them to spring back up more easily after being bent. In addition to blade shape, you’ll want to consider blade width, as wider blades provide better resistance against tearing. While synthetic turf is often used in high-traffic areas, it’s also a good option for low-traffic areas like ornamental landscapes. Since wear resistance isn’t as much of a concern here, you have an opportunity to focus more on aesthetic attributes like softness. In this case, a straight polyethylene fiber blade is a good choice for maximizing comfort underfoot. Another consideration for choosing synthetic turf is whether you might benefit from cool blade technology. Whereas regular synthetic turf can become hot to the touch after prolonged sunlight exposure, cool blade technology resists solar heat transfer, which keeps the turf cool in any temperature. 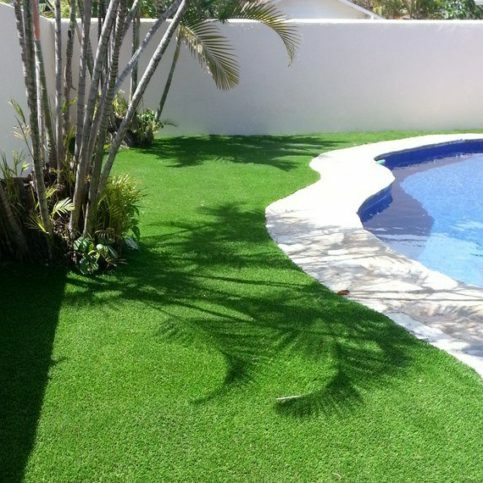 If you’re planning to install turf around a pool or in an area where children will be playing barefoot, cool blade technology can be a beneficial choice. LAFAYETTE — Host, Sarah Rutan: You might assume all synthetic turf is the same, but there are actually different styles for different applications. Today we’re in Lafayette with Diamond Certified Expert Contributor Eric Beresford-Wood of Diamond Greens to learn more. Diamond Certified Expert Contributor, Eric Beresford-Wood: One question that comes up a lot on estimates is: Which turf should I choose? And there’s a lot of confusion. And sometimes companies give different reports or opinions on what the best turf for a certain application is. When choosing a turf, one thing that’s important to keep in mind is: What are you going to be using it for? If it’s for playing soccer on, or especially dogs, larger dogs, will have a tendency to tear the turf. Almost any application where there is medium-to-heavy traffic, it would be good to use a sports blade. By “sports blade,” that’s something where the blade, when you’re looking at it from the top, has some kind of a design to it. It could be a traditional C-shape, which will resist bending. It will always kind of spring back up again. Or a W-blade design is fine, as well. It could also be an S-shape. So basically anything other than a straight blade, a straight polyethylene blade, will work for a medium-to-heavy application. Another issue is the width of the blade. A wider blade will resist tearing, since there is more. Each individual blade is thicker. So, it’ll be harder for a dog running quickly to tear it, or soccer. It’ll last a lot longer without ripping and tearing. So, for the heaviest application, you’d want the widest blade with the sports blade design. For, say a front yard with landscaping, you could get away with a straight polyethylene fiber, a finer blade that’s going to be really soft. There is usually a tradeoff between the softness of the blade and the durability of the blade, so that the stiffer blade will handle traffic better. But at the same time, it won’t feel as soft when you’re touching it. The way that the polyethylene is made is there is a softener that’s added to the blade. So, the more softener, the softer it’ll be, but it’ll tear more easily. The last issue that I think is important with the newer technologies is whether or not cool blade technology is something that would benefit you. Say if there are going to be kids playing on the turf, laying down, say in a play area. Or around a pool, where you might go straight from the pool onto the turf. Using newer cool blade technology will make the difference between something that is hot and potentially uncomfortable to something that’s really cool and you can walk on it with bare feet with no problems. Diamond Greens : Average 8.7 out of 10 based on 95 unique customer surveys of customer satisfaction. I like the end result. The crew knows what they're doing, they complete the job by the time they promise, and they stick to their bid price. They're very easy to work with, and their grass is excellent. I just enjoyed working with their people, and I'm enjoying their product. For me, it looks nice. They really knew what they were doing. They did a very high-end job. The yard they were putting the lawn down on was valued at around $250,000 give or take. It had to come out perfect, and they did just that. It was the icing on the cake, so to speak. They completely took the bull by the horns and took care of business. It's a great value. I'd say you have to get a bid from Eric for sure. I think they have good customer service. They seemed nice, accommodating, and they worked around our schedule. I thought they did an overall good job. On the other hand, they had kind of a steep price, which seems to be normal in this industry. They were significantly cheaper than Heavenly Greens. I like the fake grass. It doesn't have to be watered. They were great. We have a lot of dogs, so now picking up their poop is much easier. I have shown it to other people. It hasn't died. It came in right, and they put the rocks down. Everything is working fine. They finished everything on time, and the final product looks really good. They were polite, they knew what they were doing, and I would recommend them. We were very pleased with them. They will do more work for us. I believe they did an artistic job. I liked dealing with Eric, the owner. Everything went very smoothly. They do quality work, and I think they're a good company to consider if you're looking to get artificial grass installed. Eric, the owner, was very friendly. He did a great job. They did a good job, and they were in and out pretty quickly. They did a good job and at a good price. I've recommended them to a few of my friends. They do good work, and they're pretty quick. They work their butts off. The best thing was probably their price, it was very reasonable. I would tell other consumers the same thing I tell my friends. You should absolutely, positively have artificial grass. If you in fact don't want it, your IQ must be severely low. At least two contactors and several of my neighbors have asked me for Diamond Greens' phone number. It looks great. My granddaughters can now play in my front yard and not stress my wife out. There is no mud, no dirt, no grass stains, and best of all, no allergies. I don't have to use fertilizers and chemicals. There is no mowing involved, and I don't have to waste water. I shopped and researched several companies profusely, and after several months of research, I chose Diamond Greens. I did a lot of comparative shopping, and they just came out on top. All in all, working with Eric and his wonderful wife, Helene, made this an experience I'll remember. I'd just tell them that they did a very good job. I'm very satisfied. It looks really nice, and it looks really especially nice during this drought. I like the fact that it's artificial, and it looks so nice. They did a fine job. I had a small problem in the beginning with weeds growing through, but they came right over and took care of it. They did an excellent job for me.